Warner Youth Education works to address social change from childhood up, through engaging customised programs for schools, local government and organisations. We have created leading programs on themes such as graffiti and vandalism, underage binge drinking, and more. These tailored programs are designed to maximise impact and get young people involved in responsible action through a range of highly creative and engaging activities and discussions. 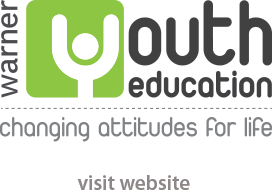 To discover more about our leading youth education programs, visit our website.